This is a cute looking amigurami crochet unicorn pattern you will adore. 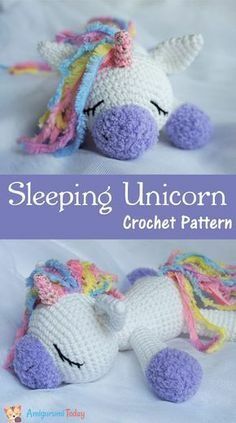 You need at least 3 colours of yarn, 2.0 mm crochet hook and a 2.5 mm crochet hook to make this unicorn. Without further explanations here is the pattern for this cute looking Unicorn Pony.